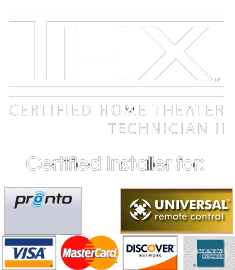 Fans of MK Sound will be loving this great special we are running on MK speakers through the month of March, 2011: Get a free THX audio calibration/system setup of your home theater with the purchase of an MK Sound speaker system that is 5.1 or larger. Our manual calibration process is second to none at ensuring your surround system is set up for perfect performance to it’s full potential- M&K + THX Calibration = Audio Nirvana! Call today for great pricing on MK Sound products 360 543 5667. The legendary S150 THX Ultra models are still available in limited supply, and MK Sound has now redesigned it as the S150 MKII to be paired with the new S150T Tripole surround. Expected shipping on these is mid-March and they feature THX Ultra certification and use the same newly redesigned monitor tweeter first introduced in the 950 LCR. A completely new model will be the MP7, a slimline onwall LCR speaker designed for use with flat panels that will ship mid-March. 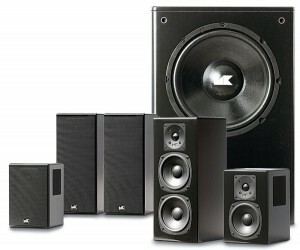 New MX8, MX10 and MX12 subwoofers will ship by July 2011, with the current line of awesome MK subs available until then. And we have waited for this one: new floorstanding tower models of the LCR750 and LCR950 speakers that are due September, 2011 with attractive cabinet designs-can’t wait to see these! The MX1000 Reference subwoofer, one can only imagine what a subwoofer called “Reference” by MK Sound would be like……. MK has also completely retooled their active amplification studio monitor series with new MPS-1611p, MPS-2150p and MPS-2401p beginning to ship in March. Visit MK Professional here. Just in case you hadn’t seen this elsewhere, the MK Sound 950THX system got a lot of attention at this years’ CES show and received a glowing review in Home Theater magazine this February. In our experience as integrators, the 950THX offers a special combination of value/ performance that is not available elsewhere and the 950 is our top-selling speaker system for THX Select2 rooms. Make an appointment so you can experience the MK Sound 950LCR speakers at our showroom.